Welcome to DiseaseFix Section for Nipah Virus (NiV) Diseases and Infections. Nipah virus is a zoonotic virus that is transmitted from animals to humans. The virus can also be transmitted through contaminated food or directly through contact. It can cause many diseases and illnesses such as from asymptomatic infection to acute respiratory problems and fatal encephalitis. virus though has caused only a few known outbreaks in Asia, but it is a public health concern because of its widespread effect that can cause severe diseases and deaths in people as well as in animals. Common signs and symptoms include fever and headache, followed by drowsiness, respiratory illness, disorientation and mental confusion. The symptoms can progress to coma within 24-48 hours. 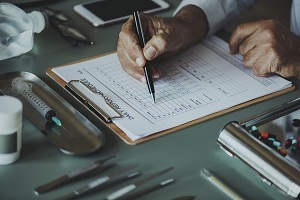 Diagnosis is done using a combination of methods at different stages such as virus isolation attempts and real time polymerase chain reaction (RT-PCR), and antibody detection by ELISA. Treatment is limited to supportive care. 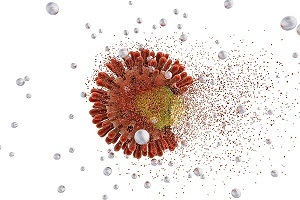 A drug called ribavirin has been shown to be effective against the viruses, but its human investigations and clinical usefulness is uncertain. For more, check out Articles and Graphics below related to Nipah Virus Infection. Hope you enjoy the experience with DiseaseFix! Nipah (NiV) was first identified during an outbreak of disease that took place in Kampung Sungai Nipah, Malaysia in 1998. Pigs were found to be the intermediate hosts in this outbreak. But, in subsequent NiV outbreaks, there were no intermediate hosts. Currently, there is no drug or vaccine to cure it. Nipah virus disease is mainly found in south Asia. Sporadic outbreaks have been particularly noted in Malaysia, Singapore, India, and Bangladesh since the virus was first discovered in 1999. It is not a common disease. Less than 20 cases are typically reported per year worldwide, although systematic surveillance to monitor the outcomes is lacking. 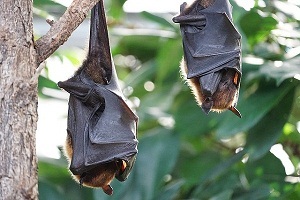 Countries with reported outbreak of at risk based on serological evidence or molecular detection in Pteropus bats are Australia, Bangladesh, Cambodia, China, India, Indonesia, Madagascar, PNG Taiwan, and Thailand.